Dr. Brenna grew up on her family farm in southwest Minnesota where her desire to love and serve was born. Knowing she wanted to work in healthcare, she attended Augustana University where she achieved her Bachelor of Art’s degree in Biology. During that time, she served as a CNA for 4.5 years at a nursing home facility where she established a love for the older generations. Here she saw a great need for a proactive health alternative to live a longer, fuller, and healthier life. Eventually Dr. Brenna discovered chiropractic and was inspired by the body’s amazing ability and potential to heal itself! While at Northwestern Health Sciences University, Dr. Brenna started her own healing journey at Experience Wellness Chiropractic! Not long after starting care she began to see vast changes that positively impacted her life. She had better energy, better focus, little to no anxiety, better moods, and improved digestion! It was during her time there that fueled her love for Tonal chiropractic. Seeing the value, knowledge and skill at Experience Wellness Chiropractic, she trained with Dr. Jeremy during her internships. As she progressed through the chiropractic program, she grew a passion to help expecting mothers and children in their health journey as well! Dr. Brenna feels fortunate to work beside her mentor and is thrilled to be joining the team! Dr. Brenna has trained and studied around the country to learn the most advanced techniques to best serve her community. Her neurologically based care focuses on the function of the nervous system to find the root cause of the health concern. This whole-body approach allows the body to self-heal naturally from the inside out so everyone can experience life the way God intended. She strives to educate and empower families of all ages in their health so they can live the most vibrant life possible. Outside of serving in the office, Dr. Brenna enjoys spending time with friends and family, sitting down with a great book and cup of coffee, various crafting adventures, traveling around the world, and playing with her adorable dog, Foxy. 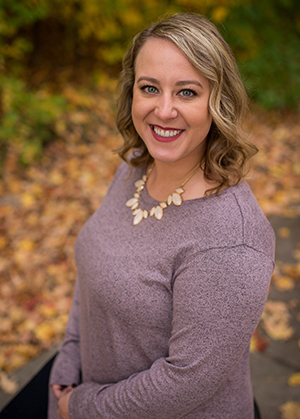 She is ecstatic to join Experience Wellness Chiropractic and connect her passion of chiropractic with Plymouth and the surrounding communities!